Now available. Click button to order your copy now! 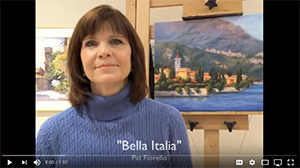 Readers will have an opportunity to revisit Bella Italia and be inspired each time they open the book and admire its 80 original oil and watercolor paintings by Pat Fiorello. 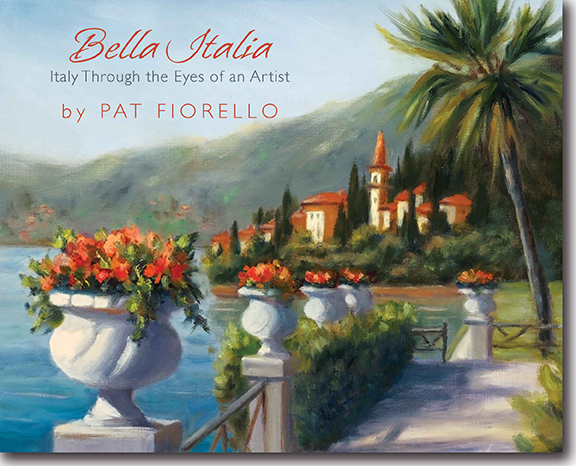 "Fiorello invites readers on an irresistible visual journey to share in her most vibrant memories of Italy—its grandeur and splendid views of sparkling blue lakes, breathtaking hilltops, quaint villages and sunlit gardens. Because of her reverence for exquisite light and color, the works of art emanating from Fiorello’s easel beckon viewers to open their eyes more fully, and to breathe in all the enchanting sights—near and far—that the world has to offer." Hard cover, 120 pages, full color, 8 x 10, $35 plus $5 shipping.